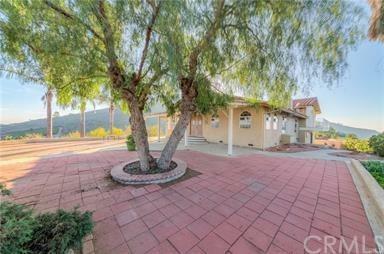 Spectacular views of Rainbow and Palomar Mountain, hidden in the hills of Rainbow on 25 acres of gentle land, gated estate home with detached guest house/ workshop, could be nice set-up/location for home-based business (as per by SD County zoning), covered RV-parking garage, lots of fruit trees, palms, and garden areas, fountain. 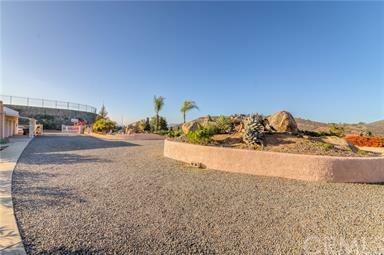 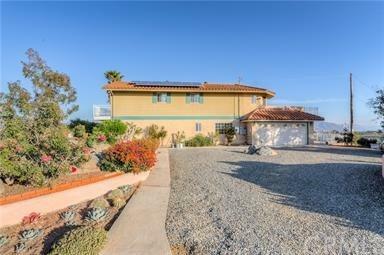 Large solar panel system, attached 2+ car garage at main house (3222 sq ft) and 550 sq ft guest house that was recently remodeled that includes living room, bedroom, bath and kitchen, Close to Temecula and very convenient, yet country and private. 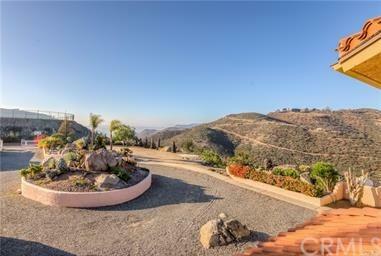 great location for horses and animals views from the many outside patios and balconies, gun-room off master bdrm, very long driveway to the top rewarded with panoramic vistas from the ridge.